Equine-assisted therapy promotes patients’ physical, occupational, and emotional growth. As early as 400 B.C., Hippocrates described the therapeutic benefits of horseback riding. For several centuries, “hippotherapy,” or treatment involving a horse, has been used to help patients with a variety of illnesses, from neurological disorders to depression.  The modern equine therapy movement was founded by Lis Hartel of Denmark. A lifelong equestrian, she was partially paralyzed by polio at age 23 but went on to win an Olympic silver medal in 1952 for dressage. Today, the field of equine therapy is growing in popularity: there are more than 5,000 professionals certified by the Professional Association of Therapeutic Horsemanship (PATH) International. 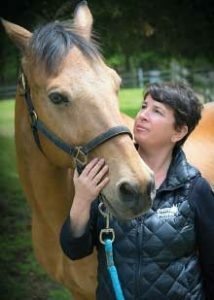 Dana Spett, M.S.W., a social worker who worked with special education students and a lifelong equestrian, developed equine-assisted activities when her young daughter, who had mild special needs, had difficulty making progress despite the use of traditional therapies. 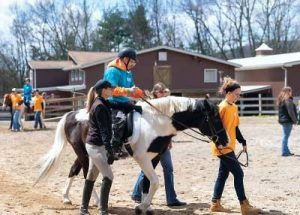 Looking for something that would help, Spett earned her certification in therapeutic riding and, buoyed by success in its use, founded a small therapeutic riding facility in 2000. Pony Power Therapies in Mahwah, N.J., has since expanded into a 12-acre center with 22 rescued or donated horses and serves up to 180 clients a week. Psychiatrist Diego Coira, M.D., founder and president of the Coira Institute in Franklin Lakes, N.J., has been riding horses all his life, so he knows firsthand how beneficial it is. “But for some reason, we don’t have much evidence of it yet,” he said. For the past two years, he has been using equine therapy and collecting data on the results. Most of the 50 patients he has studied have a diagnosis of depression, anxiety, Alzheimer’s, posttraumatic stress disorder, autism spectrum disorder, or substance use disorder. “We’re seeing patient benefits in mood, cognition, balance, and socialization,” he said in a session at APA’s 2018 Annual Meeting in New York. His son, Rafael Coira, M.D., J.D., a psychiatry resident at Rutgers New Jersey Medical School, discussed the case of a 20-year-old woman who was diagnosed with generalized anxiety disorder and presented with symptoms of excessive worry and cognitive distortions. She was taking escitalopram and valium and doing individualized cognitive-behavioral therapy. After an eight-week equine therapy program, her symptoms improved significantly, he said. After 16 more weeks of equine therapy, she was able to gradually stop her medications. Equine therapy doesn’t always involve riding horses; some patients work with horses by caring for and grooming them. Diego Coira explained that horses chosen for equine therapy are calm, gentle, and even tempered and walk at a safe gait; they are typically older horses. Horses are nonjudgmental so that patients’ background and diagnosis have no meaning to them, Spett explained. Instead, horses interpret and reflect the energy and body language of the people they are meeting. That dynamic makes patients pay attention to nonverbal cues. Equine therapy can be particularly helpful for patients with autism who are learning to modulate their body language and voice to be calmer when interacting with people. “Horses are wonderful teachers of paying attention and conveying that the rider’s decisions have an effect,” she added. Pony Power Therapies has worked with clients as young as 2 and a half years up to 84 years with a wide range of diagnoses. A nonprofit organization, it receives funding from donors to provide free treatment for patients who cannot afford to pay. For others, the fee is $85 for a half-hour assisted-riding session, and it is not covered by insurance, Spett said. Ultimately, Spett said, horses are a bridge to the natural world, and they connect people to nature. For example, they don’t tolerate smartphones. She believes that equine therapy can be a positive adjunct to whatever type of therapy psychiatrists prescribe.